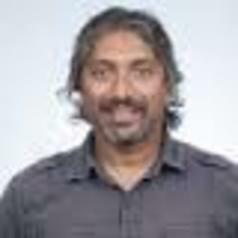 Associate Professor Harin Karunajeewa is a research fellow at the Walter and Eliza Hall Institute of Medical Research. He is a specialist Infectious Diseases Physician and performs research that aims to improve drug treatments for infectious diseases that cause the greatest burden of disease and loss of life in the world's poorest peoples, especially those living in the Asia Pacific region. He has particular interests in the treatment of malaria, tuberculosis, pneumonia and gastrointestinal disease.